Took this one on Crenshaw Boulevard in Los Angeles while waiting for the space shuttle Endeavour to roll by. 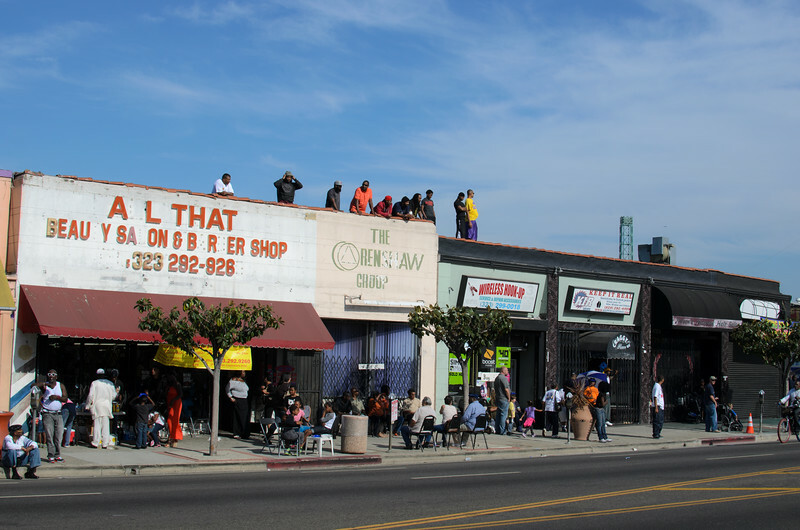 In a city that is increasingly Latino, Crenshaw runs through the heart of Los Angeles' African-American community. Nothing fancy about the photo. Not even terribly well framed or composed. 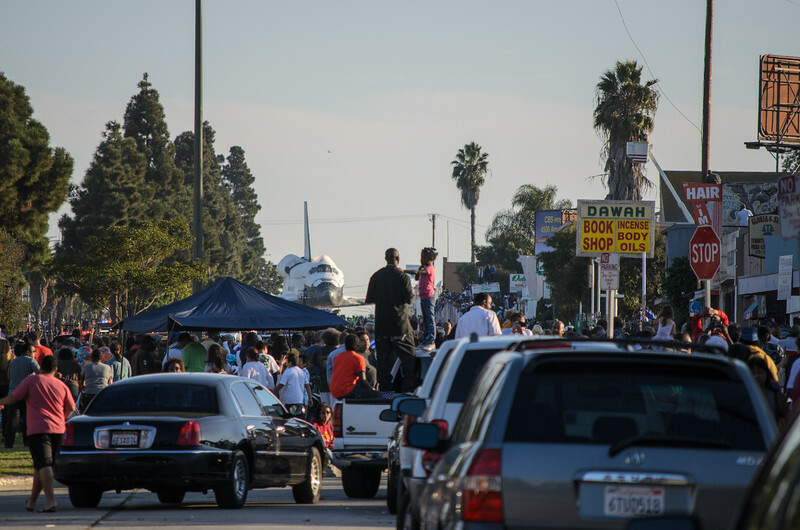 But I like it as a snapshot of a slice of life of a big day on Crenshaw. Here's another shuttle pic below, also taken on Crenshaw. Same thing. Nothing fancy but conveys the flavor of the day. Check out my gallery of photos of the shuttle on my SmugMug page. And follow me on Twitter.